A study on the efficiency of promotional products, carried out by the GWW (Gesamtverband der Werbeartikel-Wirtschaft, Association of Advertising and Business) in 2012, confirmed the lucrative effect of promotional gifts. They offer an ideal opportunity to gain new customers and increase customer loyalty. 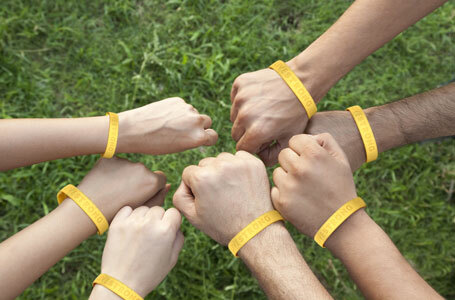 Simple gifts can create awareness of a broad target audience. Events are especially suited, as you will reach many people at once. The online shop of allbranded features promotional products for events, including any products you can imagine that can be used for advertising. We are certain you will also find the right choice for your own event! To advertise is to act. 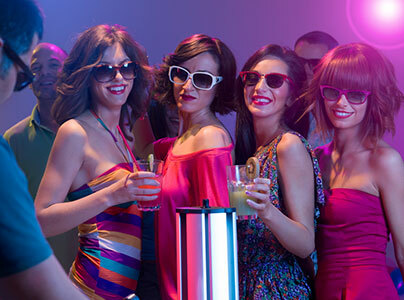 Do so with the extravagant sunglasses from allbranded for a successful marketing campaign. Of course, colour and logo can be printed. Advertising is one of the most essential pillars of lucrative management. However, common advertising space and strategies can quickly become very expensive. 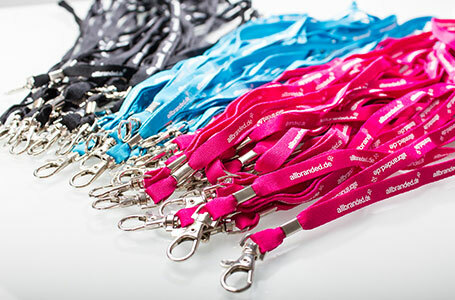 Promotional items for events from allbranded offer you the chance to effectively raise your awareness to potential clients, even in a small setting. Especially large events can attract huge crowds of people – and you can reach them by distributing event promotional products from allbranded. All products in our online shop have a high quality. Have a look at allbranded.co.uk and convince yourself of our affordable prices that will definitely pay off! It is psychologically proven that there is only one chance for the first impression. Moreover, it is the basis for any further decision. You should apply this knowledge using promotional gifts at events: Your customers will remember the positive experience and connect it to your company – for instance when they receive a practical pen. Each usage manifests this positive feeling. Especially object of daily use will also attract awareness of other people. Especially at events, you use this effect for your own advantage and benefit. With allbranded, you can easily make sure that your company name will stay in the minds of people. Events usually have a positive atmosphere, and many people voluntarily go there to gain new information and meet others. You can use this atmosphere to your benefit. The participants will openly react to your promotions at events and the effect of the first impression will be even more positive. This positive feeling will also be created when your products and gifts are used and puts a positive light on your company. allbranded offers you vast opportunities. Of course, you can order classics like pens, umbrellas, cups, mugs and lighters. allbranded always delivers high quality with you company print! But this is not all that we offer for your promotional gifts. You have the chance to select the right promotional items for your context, and we will customise them. For events and fairs, we provide products like standing tables and banners. Even seasonal products like Easter eggs or Christmas decoration can be printed. We also offer many creative ideas that will make your company stand out of the masses at fairs and make it especially memorable. Why not distribute sunglasses with your company logo at the opening of a sports field? High quality promotional gifts for events that carry your logo will accompany the customer for a long time and create a positive connection with your company. In the study mentioned above, it was found that promotional gifts are especially effective when the context fits to the products. Differences between genders are also mentioned: An event that mainly targets women is better off with bags, while men prefer caps. Pay attention to a uniform design of promotional items for your event. As soon as a certain style has been established, only a short glimpse of the customer is enough to evoke the desired associations. Our allbranded online shop is well structured and easy to use. We make sure you do not lose the overview, given all the diverse options. You can support one of the most important pillars of your company from the comfort of your home. Be creative and be inspired by allbranded: Because every opportunity to use great promotional products at events counts!